A few months ago, we announce that we are working on a tool of what aims to be our most powerful tool, DW Builder. Since then, there has been a lot of activity, in the form of both excitement and frustration, related to the status of the project. I know that this one is taking a while to finish, but I promise that it will be worth it in the end! We made the decision as a team to spend extra time on DW Builder, even if it meant breaking our normal production schedule. We are really excited about what we have planned for 2017 for DW Builder – our WordPress Website Builder Tool, which helps you build bold, sleek and simple landing pages in minutes. 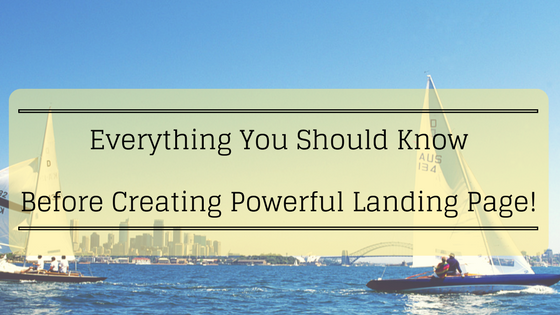 Everything You Should Know Before Creating Powerful Landing Page! Landing pages are really important part of marketing. And I can say that it’s the heart of your online marketing campaign. There are so many strategies and tactics to employ that will increase your conversions and start bringing your business the results you deserve. If you are not using landing pages then believe me you are missing out on a lot of possible conversions and new customers. But how can you start building an effective landing page? Well, if you don’t know the answer, don’t worry, because, in this article, you will get everything you have to know before creating powerful landing page that helps you achieve a higher return on investment (ROI) from your marketing spend! Content Management Systems (CMS) are applications that enable you to create and manage content in a systematic way. There are a number of content management systems available in the market today. Each one has its own set of rich features that makes them stand out. 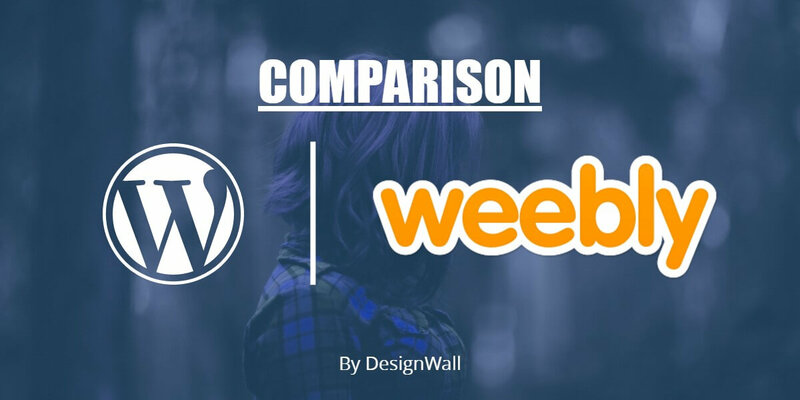 In this article, I have picked up two popular CMS – WordPress and Weebly. You will get to read a comparative study of both these platforms. Creating the “perfect” website can mean many things. 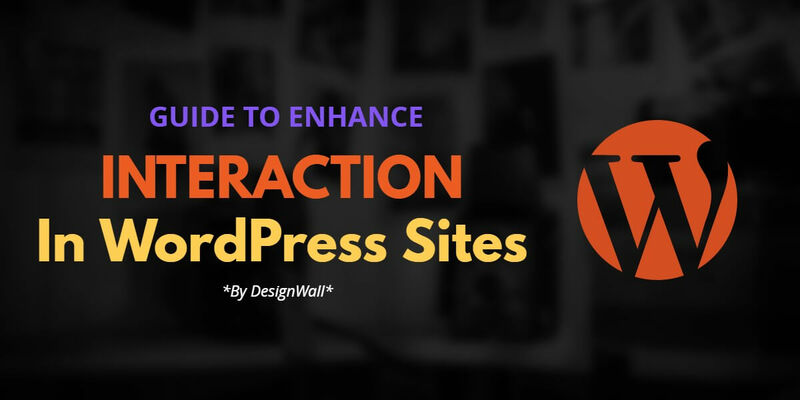 If there’s a standard to estimate effectiveness, it would be user interaction in WordPress Website. Many site owners wonder about the people who visit your WordPress website, read you blog and do not comment. Well, all Google Analytics can give you is a number, but what you really need is a reason why your visitors do not leave comments or share your content on social media. WordPress has proven to be a popular content management system for businesses and individuals because of the sheer level of control and accessibility. 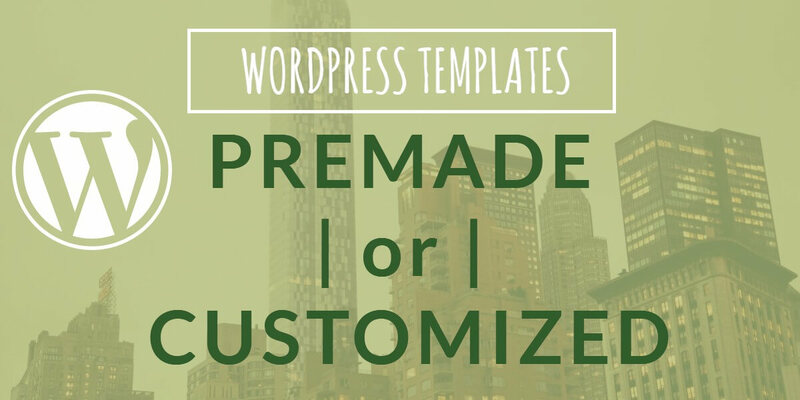 For many WordPress users, they are content with using premade WordPress templates, whereas those with higher budgets might be tempted to consider a custom design. Both approaches offer distinctive advantages that are vital to discuss in this decision-making process.